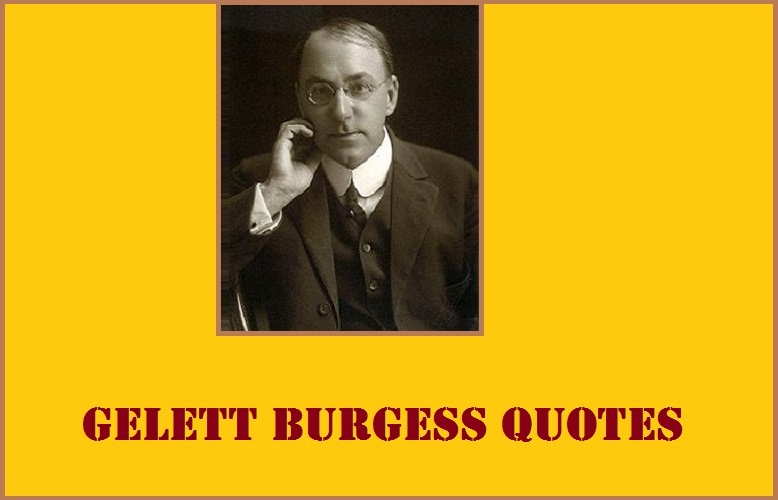 Gelett Burgess Quotes:- Frank Gelett Burgess (January 30, 1866 – September 18, 1951) was an artist, art critic, poet, author, and humorist. 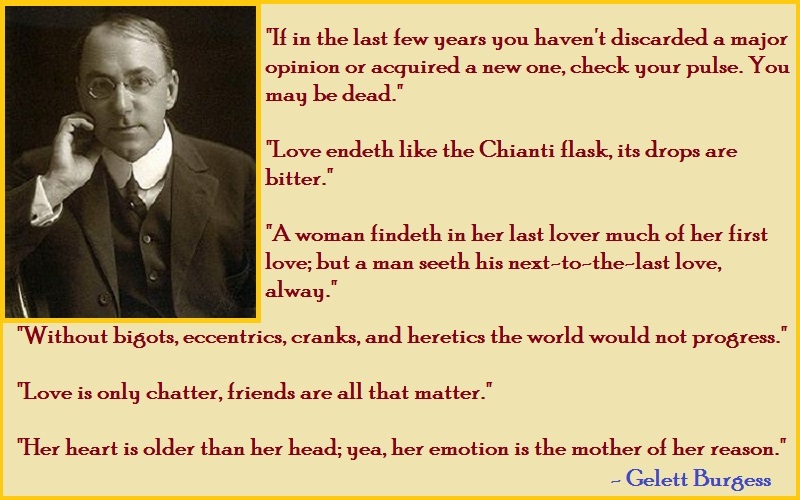 An important figure in the San Francisco Bay Area literary renaissance of the 1890s, particularly through his iconoclastic little magazine, The Lark, he is best known as a writer of nonsense verse, such as “The Purple Cow”. For introducing French modern art to the United States in an essay titled The Wild Men of Paris. He was the author of the popular Goops books, and he coined the term blurb.